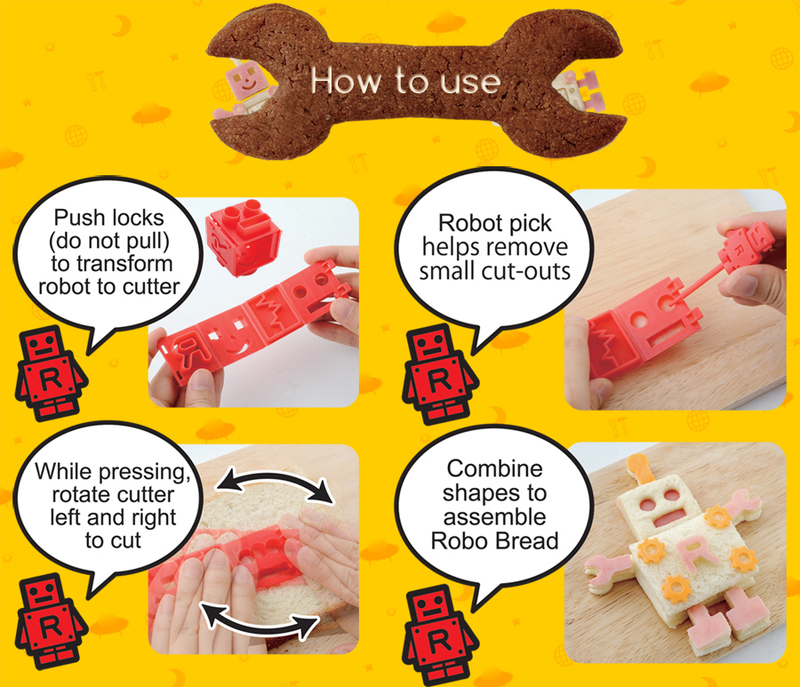 The CuteZCute Robo Bread – the first sandwich cutters that fold and “transforms” into robot blocks. 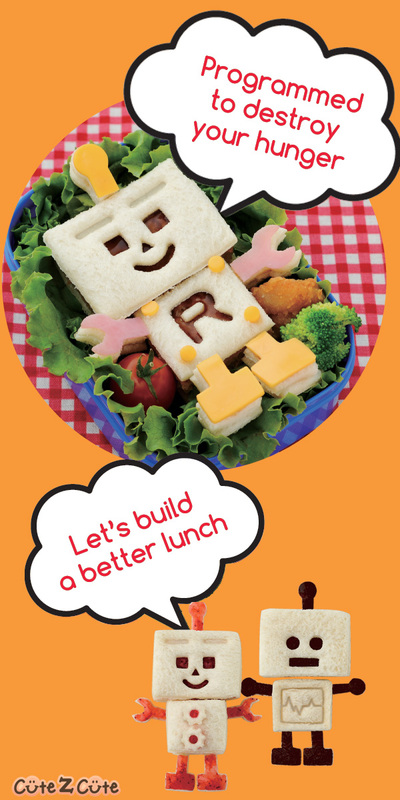 Transforming robot sandwich cutter… Engineering a better lunch! Versatile and Fun Bento Kitchen Tool – Sandwich Cutter, Bread Stamp, Rice Mold, and more! 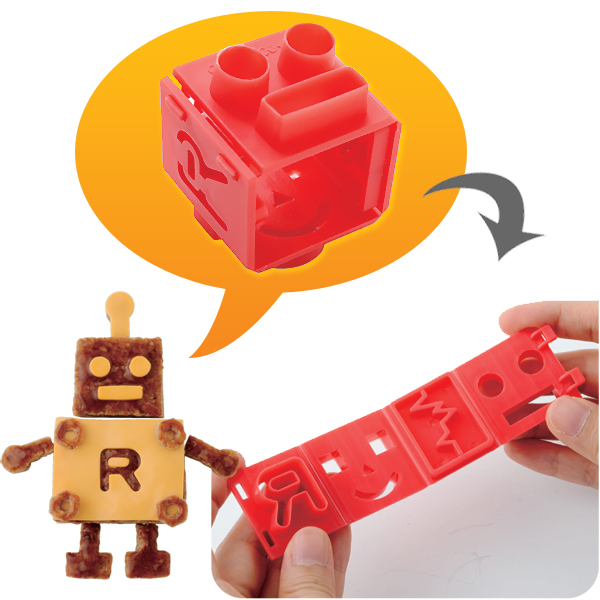 13 fun robotic shapes included. as a bento pick to decorate your bento lunch box. The cutter panels fold and “transform” from robots to stamping cutters before your eyes. 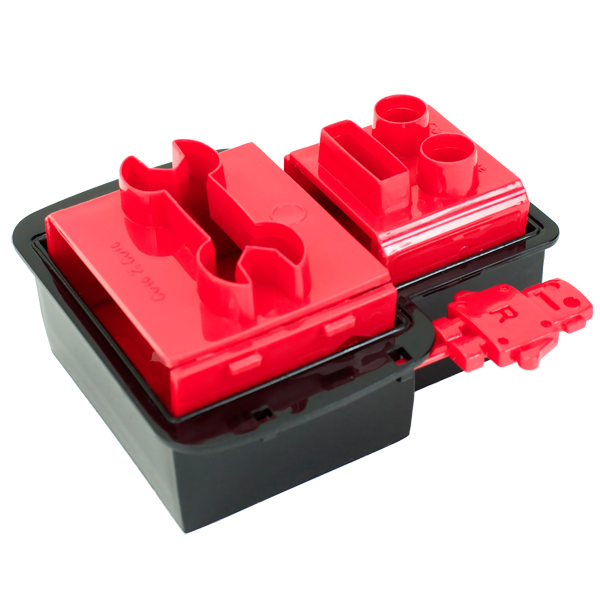 For storage, the cutter panels fold and “transform” into blocks to fit inside the body and head cutter! 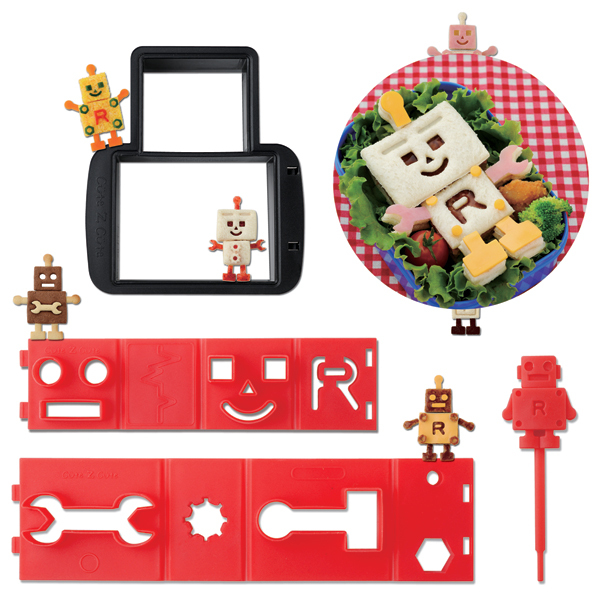 is a fun and versatile set for decorating food. Whether you’re a beginner or a pro, this set is a great addition to any tool collection to make cute food quickly and easily. Make and decorate sandwiches, mix-n-match cookies, mini pies, rice nigiri, and egg sheets! Cut and decorate brownies and cornbread, robot “fruit salad” on a plate, fondant and gumpaste cake decorations, and so much more! 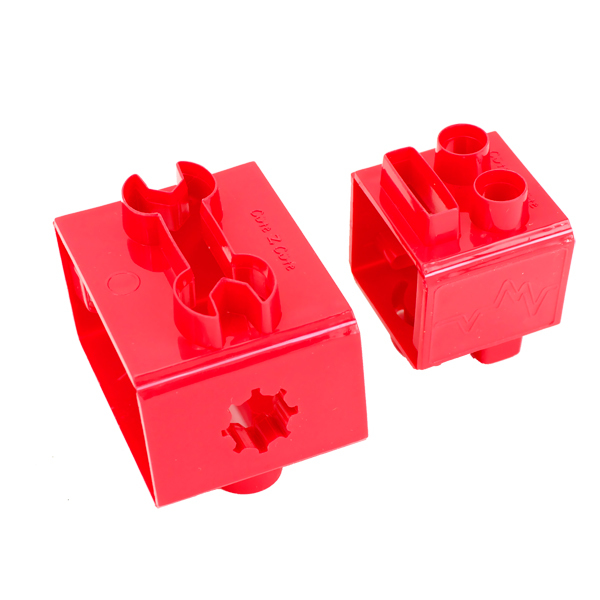 ONE body and head cutter, EIGHT folding panels with cutter and stamp shapes. ONE Robot pick. Mix, Match, Create endless combinations. Cut. Easy. Cute. ♥ Cut two pieces at once. Either shape can be used as head or body. Use to cut almost any food, including sandwich, bread, sliced cheeses, pancakes, thinly sliced fruit, cookie and pie dough, fondant or gum paste, and so much more! Two sets of four cutter and stamp panels. 11 shapes included. Each cutter and stamp panels fold and “transform” into blocks to fit inside the body and head cutter. 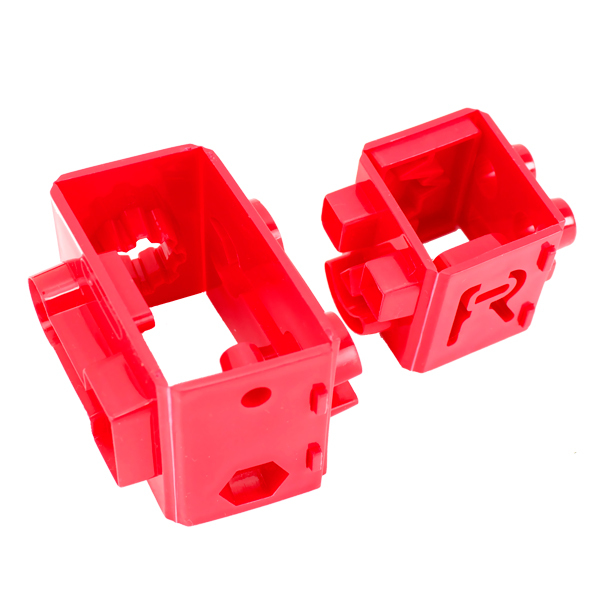 Use these to cut facial features out of your cut face shape, or cut robot tool features to add on, or use the stamp side to imprint the heartbeat, weld stud, and more. 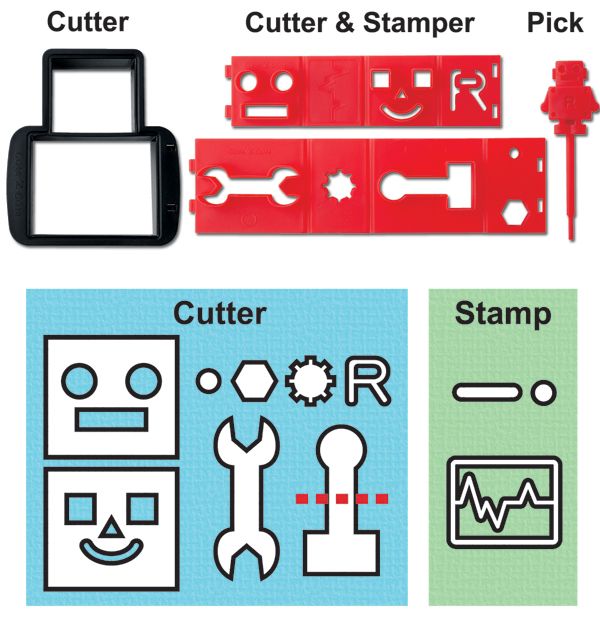 ♥ Use this tool to help remove small cut-outs from the cutters. 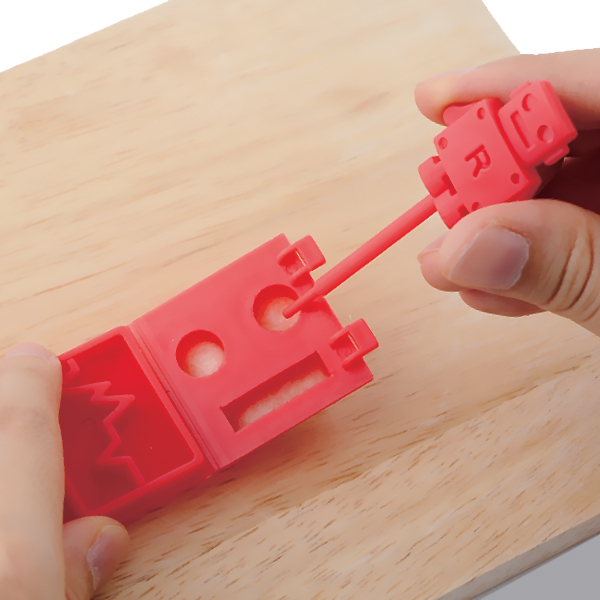 And when you’re done making lunch, you can use it as a decorative accent and use it as a fun robot food pick! 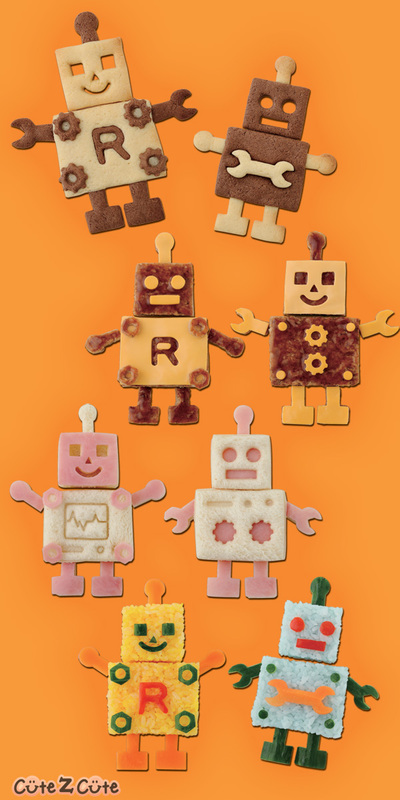 cut bodies and heads from a large undecorated sheet cake and let the guests build their own robots with frosting, fondant shapes, cut fruit shapes, and more!